Welcome to the sixties club. Wishing you all the best in your 60th Birthday. You are not turning 60. You are just turning 20 for the third time. Happy Birthday! 60 really looks great on you! Happy Birthday! Wishing a special 60th Birthday to a special person like you! You’ve seen or experienced a lot of wonderful things all these years. Hope you keep doing the same. Happy 60th Birthday! Forget the block, when you’re sixty, you’ve been around the entire neighborhood a few times.- Dane Peddigrew. But still glitter like a gold! I wish your happiness increase manifold!! Every passing year brings in an experience and a hope for tomorrow. May you have them both. Happy 60th Birthday! Stay healthy and fit. Nothing more, nothing less. Happy Birthday! Thank God people don’t age as fast as other creatures, because otherwise you’d be gone by now. I’m just kidding. Happy Birthday! How do you feel with 60 years of wisdom? Happy Birthday! I wanted to show I had balls at age 60. Just because society says I’m old, doesn’t mean that I am. I’m pursuing happiness, even if it makes the people around me unhappy. Sylvester Stallone. A man of sixty has spent twenty years in bed and over three years in eating-Arnold Bennett. 60’s is the new 40’s. The only difference is the level of experience. 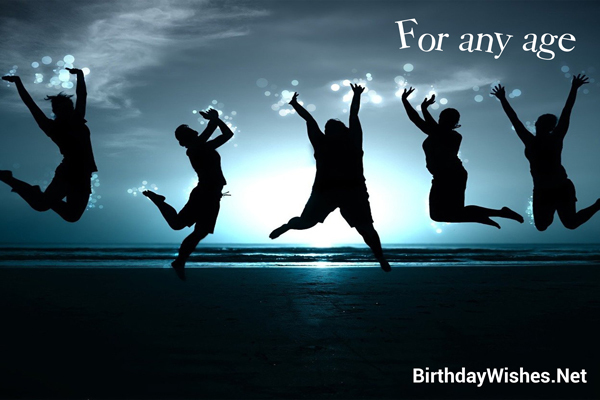 Check out this amazing collection of 60th birthday wishes, the 60th birthday wishes on this page incorporate the messages from these article, but feel free to add your own.